On Tuesday, September 14, the Tuesday Book Club talked about Robert Bolt’s classic play, A Man for All Seasons, which dramatizes the imprisonment and execution of Sir Thomas More. Most group members liked the play very much, touting its witty dialogue and Bolt’s excellent writing, both of which evoke the tumultuous years leading up to the English Reformation. While one member found the play made for pretty dry reading, we all agreed that the issues and themes swirling amidst Bolt’s stormy dialogue were compelling. What is a conscience, and what does it mean to hold one’s own convictions above all else, and what if that includes king and country? In the play, Thomas More does what he thinks is right, and Bolt’s staging leads us to agree with More. Whatever we think about Henry’s divorce and the break with the Roman Catholic Church, the group agreed that the play holds up More as a paragon of intelligence, morality, and self-fortitude. More’s “self” is so strong he can’t give in and take an oath declaring Henry the head of the church. “You might as well advise a man to change the color of his eyes,” More says of the prospect of giving in to the King’s demands. All told, we had another fine discussion of history and classic works of literature. Everyone is excited to read next month’s companion book, Wolf Hall. This 2009 novel by Hilary Mantel takes Thomas Cromwell, one of the out and out villains in Bolt’s play, as its main character and ostensible hero. Join us October 19 for what promises to be a fascinating discussion of Mantel’s Booker Prize winning novel. The Tuesday Book Group discusses contemporary books alongside the classic works that inspired them. We meet the second Tuesday of the month (October is an exception) at 1:00PM in the Stride Room. 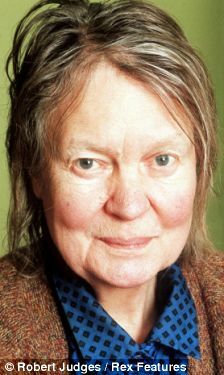 Have you ever heard of the BBC's series In Their Own Words: British Novelists - Interviews with Remarkable Modern Writers? 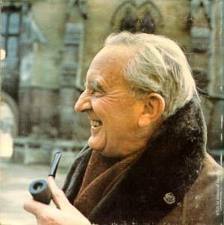 It was incredible to actually see Tolkien in person, as he sat in his own den or wandered about Oxford. The last view on the interview is a gradual panning out, from Professor Tolkien standing on a turret at the college, to the whole of Oxford - quite a spectacular view. You all know the story. Henry VIII, king of England in the early 1500s, is desperate for a male heir and not adverse to swapping one wife for another it that is what it takes. Henry wants to annul his 20-year marriage to Catherine of Aragon and marry Anne Boleyn. The Pope, many of Henry's advisors and Catholic Europe do not take kindly to this proposal. Much has been written about the characters in this real life drama - Henry, the volatile and determined monarch, Catherine the faithful and steadfast Queen, Anne the young and hopeful lady-in-waiting, the brilliant Cardinal Wolsey and Sir Thomas Moore, who opposed Henry outright and lost his head because of his opposition. 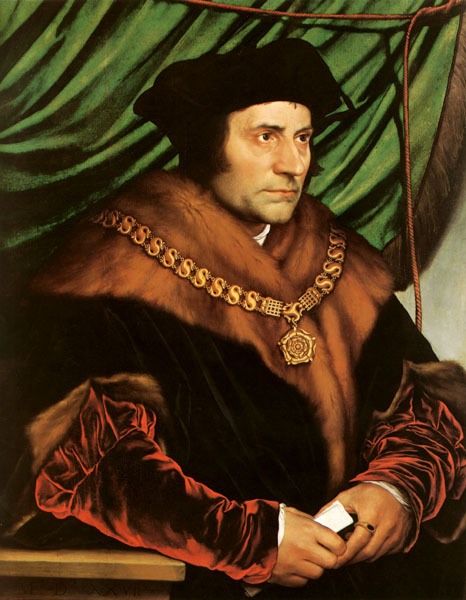 In Wolf Hall, however, Hilary Mantel chooses to focus on Thomas Cromwell - the wily and consummate politician. Cromwell is a man lowly born, but with guile and daring, manages to become Henry's confidante - suceeds in giving Henry all that he wants - with momentous consequences. The Newport Public Library offers two book discussion groups that meet regularly at the library. The Tuesday Afternoon Book Discussion Group meets (usually) on the 1st Tuesday of every month at 1:00pm. Luke Owens is the discussion leader and the group discusses a variety of books, both classic and contemporary. 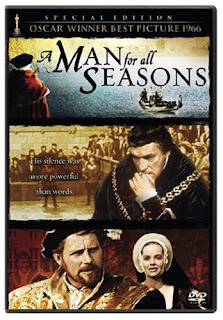 Their first meeting is scheduled for September 14th when they will be discussing A Man for All Seasons by Robert Bolt. A list of the rest of the titles chosen for the year is available here. The Thursday Evening Book Discussion Group wiil begin on Thursday September 23rd at 7:00pm. Pat LaRose is the discussion leader and this group also looks at a variety of works, both ficition and non-fiction. They begin the year with a discussion of To Kill a Mockingbird, the Pulitzer Prize winning classic by Harper Lee. At the first meeting, the group will have the opportunity to weigh in on the rest of the titles chosen for the year. Some possible titles are listed here.